The Carpo 2 S.E. 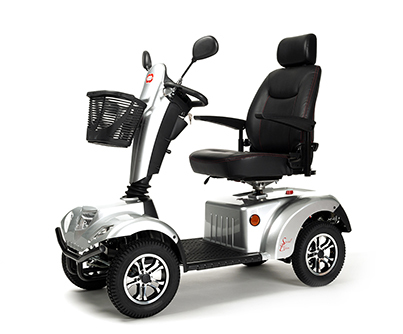 (Special Edition) is a complete renewed and freshly redesigned 4-wheelscooter for daily usage. Sporty black rims, double mirrors, adjustable headrest and a fully integrated electronic display and USB port to charge any devices you might carry along.